The Christian Post has a fascinating interview with Brother Andrew, the famous “Bible Smuggler.” I encourage you to read the entire article, some of which is quite entertaining. 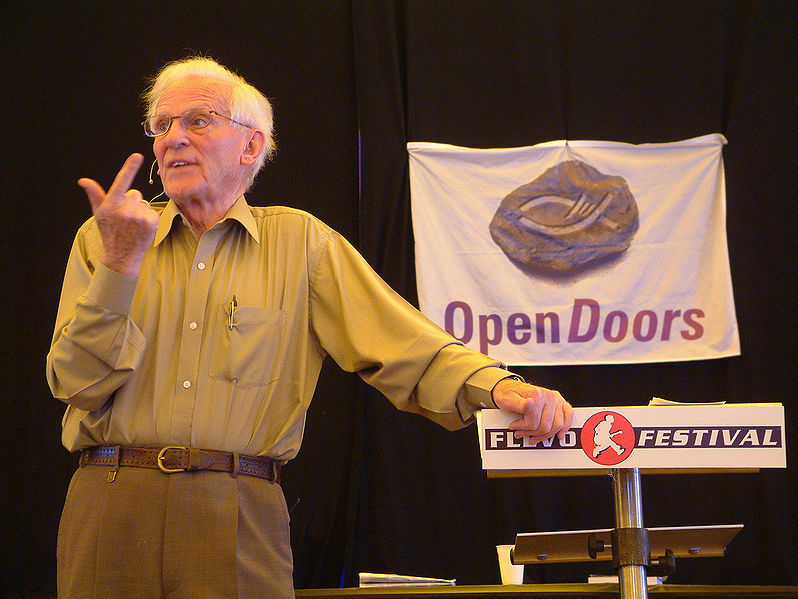 Brother Andrew is now in his 80’s, and his work for the persecuted church is immense, primarily accomplished through Open Doors, a ministry he founded in 1955. Below is a sample taken from the interview. His popular book, God’s Smuggler, is available as a free audio download this month. Check it out at Christian Audio. CP: How do you personally pray for the persecuted Church? Brother Andrew: Let me first tell you what I don’t pray. I don’t pray that God will lift the persecution because if there is persecution there is a plan that God has, otherwise God wouldn’t allow it. So do we understand why this persecution? When we read the Bible, all the Bible’s characters met with at least opposition. Our problem is that if we have a little opposition we call it persecution. That is ridiculous. Every Christian is tested; every Christian has and has to have opposition. How do we pray? Not for God to remove persecution, but use that to purify the Church. And it is my strong belief that the countries where there is persecution are stronger in faith than churches in countries where there is no persecution – whether it is your country or my country (Netherlands). And there will come a time, maybe it has come already, where we will depend on our survival on the faith and input of the church that is now persecuted. They are standing strongly in the storm; we write and speak about them because we admire them. They have qualities that I wish we had: the perseverance of faith. They don’t have Bibles often and they don’t have liberty. But do we need all this liberty that we take for granted in order to function as the Church? And of course the answer is no. The Church thrives under pressure, that was the very birth of the Church. They were persecuted in Jerusalem and all over. Look at it a different way, what does the Bible say, how do I pray? That whatever happens in the world, the Church will be revived in our countries and be spared from apostasy and unbelief, but God’s way may well be a good dose of persecution because that is good medicine for the soul. At the same time having said that, there can be so much persecution that the Church ceases to exist, like that happened in North Africa and in other places, but these are exceptions. The church in China is of course a glorious example of the biggest, fastest growing church in the world, but we don’t know nearly as much about the church in China as we do about the church in America. Is it Evil to Say God Has Purpose for Evil in Connecticut? To my post Did God Cause Kids to Die in Connecticut, some objected that it did not go far enough. Some believed that it was necessary to say that God actually caused the school shooting for the purpose of judging Americans for kicking God out of our schools. Yesterday, I demonstrated why that position is inaccurate. Today, I look to a different objection, one that says my original post went too far. The original post argued that Adam Lanza was the immediate cause for the evil. As such, God would hold him accountable for his sins. In addition, I argued that God was also active throughout the event, causing it to work together for His ultimate good. In all events, there is both a temporal (immediate) and eternal (ultimate) purpose. Some disagree, stating that this theological idea goes too far. Specifically, some say that viewing God as having a purpose to accomplish through evil makes God evil. Some even say it would be cruel to tell a child that God has a cause to accomplish through the school shooting in Connecticut. So, I ask, Is it evil to say God orders evil for His ultimate purposes? I don’t think so for at least two reasons. First, if God does not order evil for His ultimately good purposes, who does? If evil exists independently—apart from God’s authority over it—then there is a force (or being) outside of God’s control. If this is true, then God is diminished—He is not omnipotent. God is omnipotent only if he has the power to accomplish all of His will. If there is a force (like Satan or human free will) which operates independently of God’s ultimate control, then God may not be able to accomplish all of His will (because there would be a force opposing His will which He does not control). If that is true, then whatever else God may be, he could not be called sovereign or omnipotent. He could not guarantee that His ultimate will would be done. He could only guarantee that He would do His very best to accomplish His will. Of course, there is the possibility that no one orders evil. That evil is some chaotic, non-directed force inherent in the universe without regard to an ordered will such as God’s (or Satan’s). But, again, I would say that an all-powerful God could not coexist with a force outside of His control. One could argue for a system of gods who are at war to establish good and evil (and authority and power), but one is not able to pretend that God is somehow sovereign but also not sovereign over free will or over evil. That would be like saying you are an unmarried man but you are not a bachelor. Either God is sovereign, or he is not. Second, if there is no God, or if God is not sovereign over evil–using it to accomplish His purposes–then there would be no purpose for suffering and no hope in times of loss. It might seem insensitive to tell young people that God has an ultimate purpose for this loss of life. It might seem harsh to suppose that God’s will somehow mysteriously encompasses the loss of twenty children in a Connecticut school around Christmastime. But as harsh as that might seem, it is nowhere near as harsh as saying that the children were lost with no purpose or meaning at all. It would be even worse to say that they were lost to the purposes of evil. God does not work some things out according to the purpose of His inscrutable will. He works all things according to the counsel of His will (Ephesians 1:11). It is not cruel to admit that glorious fact in the face of suffering; it is helpful and hopeful. What would be cruel would be to leave people without the hope of redemption. In this world, there will be the heartache of deep loss. Jesus was never unclear about that point. “These things I have spoken to you, so that in Me you may have peace. In the world you have tribulation, but take courage; I have overcome the world” (John 16:33, nasb). Was Connecticut Shooting God’s Judgment? Thank you for the responses to the post, Did God Cause the Connecticut Shootings. The responses came mostly through Facebook and other media. Some thought the article didn’t go far enough. Others thought it went too far. So, let’s consider the objections in these two directions. First we will consider the objection which says my view did not go far enough. Basically, my argument is that the immediate cause of the deaths is rightly placed upon Adam Lanza, who alone was responsible for killing more than two dozen people in Newtown, Connecticut. He will be held accountable by God for his sinful, murderous actions. However, God was not absent from the horror. Ultimately, God—secretly and mysteriously—was (and is) causing it all to work together for a greater, eternal good. Objection one says that this argument does not go far enough. Instead, the argument should state not only that God was present, but that He was also present specifically to enact His judgment. In other words, God caused the event to happen to exact His judgment against America and, especially, America’s schools. So, the question becomes, was this an action of God’s judgment on American schools for rejecting Him and removing prayer? No, I don’t think it was. “See to it that you do not refuse Him who is speaking. For if those did not escape when they refused him who warned them on earth, much less will we escape who turn away from Him who warns from heaven” (Hebrews 12:25). Nevertheless, God’s judgment is better directed than the bullets at Sandy Hook. God’s judgment is precise and exact—even down to the thoughts and intentions of the individual heart. So, what evidence is there which suggests these particular kids were guilty of the particular sins God supposedly judged on this occasion? The kids weren’t responsible for prayer being removed from their schools. They probably had no knowledge of any of the lawsuits which led to the excising of God from student classrooms. Yes, God judges—but not haphazardly! Notice that there were people who wanted to ascribe a slaughter to the judgment of God. Jesus quickly corrected those justice-mongers who hoped to tie the tragic events of his day directly to the hand of God. No one knows for sure what event is being spoken of here in Luke 13, but the point is plainly stated. Jesus turns the situation into a rhetorical question of great significance: Do you really think these people died because of their particular sins? No, there was no way to tie their deaths to any immediate sin committed by them. Thus, the deaths could not be ascribed to the judgment of God in any particular sense. Tragedies–whether tsunamis or school shootings–are reminders of the fixed reality of God’s ultimate judgment over humanity. All are under the curse of sin and death. Thus, any could die at any given moment. And we all need to seek the remedy God gives us in Christ. 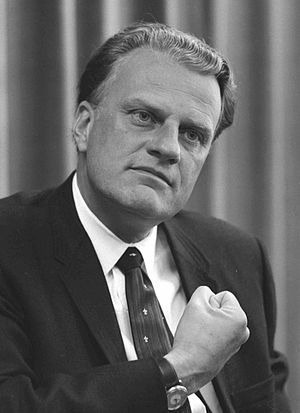 Objection Two moves in the opposite direction and says, “God had nothing to do with Connecticut, and it is unhelpful, if not downright hateful, to suggest that he did.” The answer to this objection is next… stay tuned. 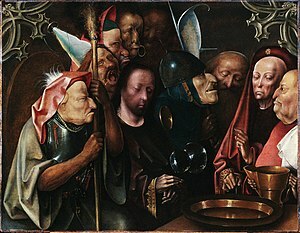 The Holy Trinity–Father, Son, and Holy Spirit, operating in complete unity of will and purpose (though 3 distinct, divine persons)–is unique to Christian theology. The Trinity belongs to no other religion, and, thus, no other religion can explain the complexities of the universe. The universe is filled with individual, particular realities which must also exist as parts of collective, universal realities at the same time. This systemic design in the universe is present because the God who designed the universe exists in Trinitarian unity. We have a great deal of instruction from the Lord concerning fatherhood, but, frankly, we need more than instruction. After all, even instruction manuals are illustrated. While we are indeed thankful for any directions we receive concerning child rearing, we could use more help. We need a model of fatherhood. We need to see fatherhood in action. “Talk to him as if he were my Father! The thought shook my soul in the peculiar way truth has of being at once startling and comforting” (1). You can read the remainder of Bilquis’s testimony in the book I Dared to Call him Father. You can read the rest of this article here, at the Family Ministry Today website. I hear a common refrain from those who favor abortion. It usually goes something like, “The Bible is silent on abortion,” or “the Bible never condemns abortion.” Is this true? Is it true that the Bible does not speak to abortion? abortion.” However, on those literal terms, there is no text which says, “Thou shalt not initiate a nuclear holocaust.” Yet, we somehow think that would be a bad thing and probably not something God wants us to do. Must we have a verse which explicitly says, “Do not put Jewish people in a gas chamber” in order to know that it’s wrong to do it? It’s a bit simplistic to say the Bible does not condemn abortion. It certainly does. In the 10 Commandments, we read, “You shall not murder” (Exodus 20:13). The word murder (in the original Hebrew) refers not to killing in general, but to the specific, determined effort to end a human life. Often, it is translated “manslayer.” This command does not forbid all human killing. It does not forbid killing in war or conducting executions for the sake of justice. But the question is whether or not it forbids killing a life in the womb. I think it does, and I will share with you the two reasons why. 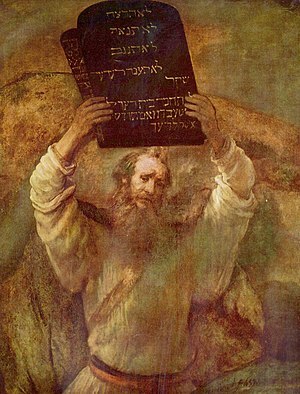 First, Moses (who wrote Exodus) does speak to the issue of abortion in the very next chapter after writing the “You shall not murder” commandment. In Exodus 21:22-25, Moses writes the famous “eye for an eye” passage (called the Lex Talionis, or the law of retaliation). The point of that passage is not to encourage blood-thirsty people to seek vengeance. Rather, the point is to keep the punishment in proper relation to the crime. If a foot is injured, you cannot gouge out a person’s eyeballs in return. What is almost always missed when this passage is read or quoted is the fact that it is spoken in the context of a pregnant woman being accidentally struck by men who are in a fight. “If men struggle with each other and strike a woman with child so that she gives birth… yet there is no further injury… “(Exodus 21:22)–then the result is to pay a fine in accordance with the demands of the woman’s husband. But if there is further injury (to the woman or the child?) then the law of retaliation holds: life for life. While it is not certain what further injury is in view in this passage, the principle holds either way: Do not fight near a woman who is pregnant because you may do harm, and, if you do, you will bear the full weight of guilt in accordance with the injury you cause. In modern legal jargon, the fitting term here is negligent homicide–a form of murder which took place because you acted recklessly and caused another person to die. The Exodus 21 passage stringently forbids reckless behavior when men are around an expectant mother in order to prevent injury. This principle is something we still recognize with animals, but we exempt ourselves from its reasonableness when it comes to human life. According to Title 16, Chapter 5A, Subchapter II, Paragraph 668 (a), of the United States Code, if one disturbs an eagle’s nest and, thus, causes an eagle’s egg to crack, then he can be fined $5,000 and sentenced to prison. The reason is clear. An eagle’s nest incubates an eagle’s egg which is the home of an eaglet struggling to be born alive. Along the same reasonable lines of thought, the Bible protects the nest of babies struggling to be born alive. The hypocrisy of our laws is inexcusable. On the second reason I think the Bible does condemn abortion: God is pro-life in the most exceptional sense of that term. Jesus on two occasions in John’s gospel called himself “Life” (see John 11:25 and John 14:6). Practically every verse in the Bible after Genesis 1:26-27 affirms the value of every human life and, thus, negates abortion–which inherently devalues human life. Genesis 9:6–the passage of Scripture which demands execution for murderers–does so on the premise that human life images forth God and, thus, is the property of God. No person has the right to determine in accordance with his whims or desires that one of God’s image-bearers should be killed. We must not destroy the image of God. Indeed, Genesis 9:7–the very next verse–reaffirms the God-given command to be fruitful and multiply human beings upon the earth–that is the opposite of the spirit of abortion. So, it appears to me that the Bible is not silent after all on the issue of abortion. If what has been said already about Israel is true, then a question arises, “What about the nation of Israel today?” In this final part (of a three-part series), we’ll look at what the Bible says about Israel as an ethnic/national people. The key text for this discussion is Romans 11. The question we are asking is, essentially, the same question Paul asked when he discussed this topic (which might be an indication that we are on the right track). Paul’s question, “I ask, then, has God rejected his people?” The answer is, “By no means! 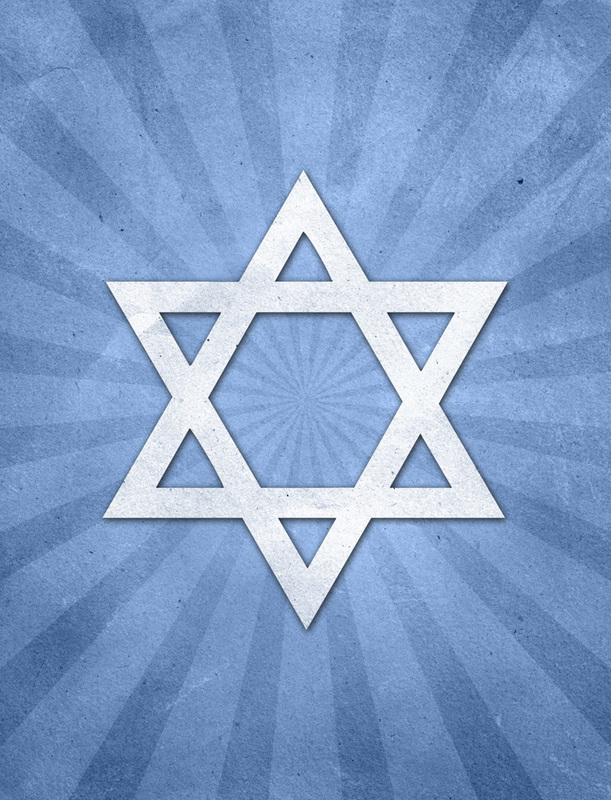 For I myself am an Israelite…” (Romans 11:1). Romans 11 is notorious for the difficulty scholars have had coming to an agreement over its contents. I will offer you my thoughts on it to help you make sense of the chapter for yourself. Here is the way I read Paul’s statement. First, it is not as though God’s plan has failed just because Israel (nationally/ethnically) has been cut off from God’s favor, “for not all who are descended from Israel belong to Israel” (Romans 9:6). Paul acknowledges that the situation after Christ is not so far removed from the situation before Christ; it has never been the case that everyone within the borders of ethnic or national Israel were actually the chosen of God. God’s people have never been characterized by ethnicity. They have always—since Abraham—been characterized by faith—humbly believing as true that which God has revealed. The issue has never been about birth or land but always about mercy (so Romans 9:14-15). So, Paul states in 9:7, “not all are children of Abraham because they are his offspring.” Children of God were always and still are children by faith, not by birth. Second, God has an over-arching, sovereign plan for all nations and people, including for Israel. In Romans 11:11, Paul asks, “did [Israel] stumble in order that they might fall?” His question wonders whether Israel is forever lost to Christ in the plan of God. His own answer is, “May it never be!” This verse (11:11) alerts us to the fact that God has a plan for people—including for people whose heritage is Jewish—through Jesus Christ. Third, God’s plan displays an unexpected irony in that the present rejection of the Jews has the built-in purpose of making them jealous of the outpouring of salvation to the Gentiles (See 11:11). The fact that God’s people are now those with faith in Christ is expected to make the Jews (who had all the original promises and covenants from God) jealous—so that they, too, might be brought back to covenant love with Him. Fourth, for now, a hardening has come upon (ethnic/national) Israel. This hardening allows an on-going opportunity for the full number of non-Jews to come in to the kingdom. As Paul says in Romans 11:25, “a partial hardening has come upon Israel, until the fullness of the Gentiles has come in.” What is important to remember is that the hardening is partial, meaning not all Jews even now are rejected. Some are accepted by God through Christ. Some are believers. 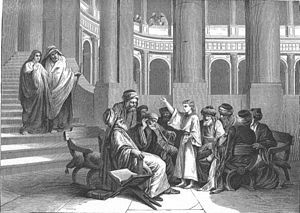 Paul stated that he was such an Israelite. And so, any Israelite who stops his unbelief will also be brought into the family of faith and the kingdom of God (11:23). 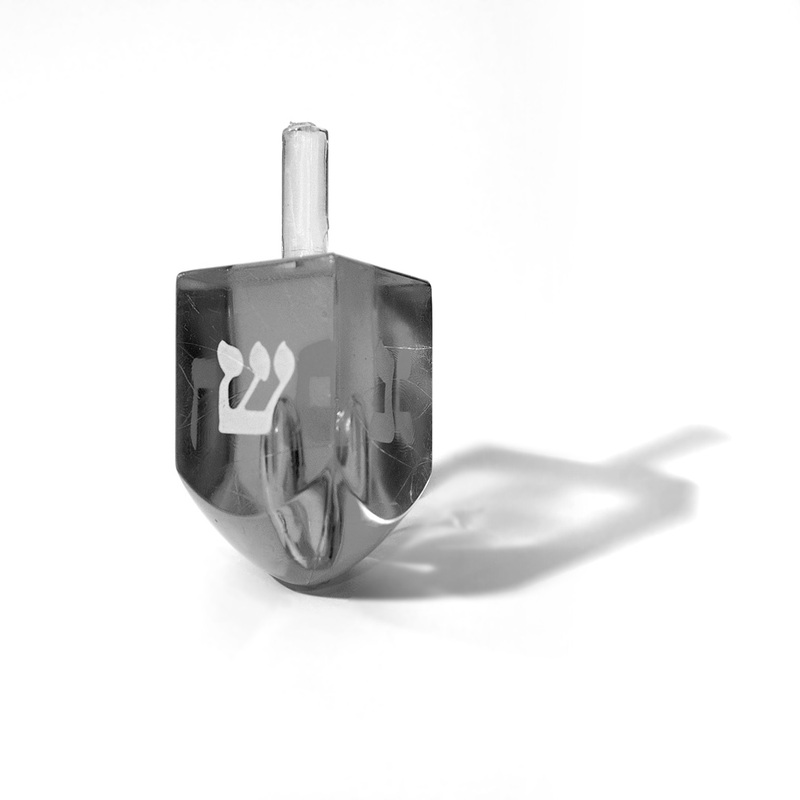 The partial hardening means some Jews are now being saved. Now is the time for the full number of Gentiles also to come into the kingdom of God, along with some of the Jews. “And in this way all Israel will be saved” (11:26). Jews and Gentiles together become one body with one Lord in one faith through Jesus Christ. The favored people of God are those who have faith in His Son, Jesus Christ. Apart from Christ, there is no kingdom or covenant promise for any other people. In these last days, God has spoken to us in His Son, Jesus. Anyone who has the Son, has life. Anyone who does not have the Son of God does not have life. National Israel is in a favored place only in the sense that there is a gospel witness in that land. May the Lord indeed grant for many to come to Christ through the preaching of this gospel. Debates are sure to continue concerning Israel and concerning Paul’s instructions in Romans 9-11. These chapters divide Amillennialists from Dispensationalists and Dispensationalists from one another. Nevertheless, one basic truth pierces through all theological distinctions like a sword pierces through a chink in the knight’s armor: he who does not have the Son of God does not have life (1 John 5:12). Those who take confidence in living on a certain strip of land or having a Jewish sir name should re-think their basis of security, taking no confidence in the flesh. Rather, like Abraham, they should have faith in God. Christians—those who by faith have received the promises of Abraham—must always remember to stay fixed on Jesus, the author and finisher of faith (for Gentiles and Jews alike). 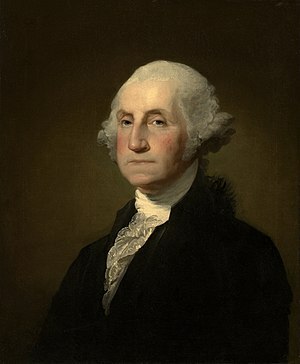 proclamation of the President of the United States–George Washington–on October 3, 1789. You do not need for me to explain it to you because you can read it for yourself below. As you can see, the holiday was national and overtly religious. Thank you, Almighty God, for the freedom our souls enjoy in Christ. Talk of David in the Bible is always significant because David represents the fulfillment of Old Testament Kingdom promises. David is the prototypical king of Israel. This prophecy fulfilled in Acts 13 is an acknowledgement that Jesus has come as the King of the Israel of God. Thus, our contemporary over-emphasis on the national entity of Israel is a diminishing of the glory of the eternal kingdom which has already begun for God’s people in Jesus Christ. The people of God—God’s Holy nation—is not Israel, but us who belong to Christ. The kingdom belongs to Christ and to those to whom He gives it. Jesus died the “King of the Jews,” and when He rose again and ascended into heaven, he guaranteed a new future which inextricably sewed heaven and earth together into a new reality which He will complete on His return. Notice the significance of each point in 1 Peter 2:9. Christians now are the “chosen race,” first mentioned in Isaiah 43:20. Christians are now the “royal priesthood and holy nation” of Exodus 19:6. [Yes! Christians are the nation of God’s favor.] Christians are now the “people for God’s own possession,” mentioned first in Exodus 19:5. In short, Christians are the children of God, the chosen for His kingdom. Thus, no one [including Jews living in the land of Israel]—no one can come to the Father except through His son, Jesus (John 14:6). Christians are those who have thus come to the Father. From the beginning, Abraham was to serve as a light to the nations, and, in Abraham, all the nations of the earth would be blessed. They were originally blessed through the light of Abraham’s offspring–Israel, which shone (in varying degrees of darkness) until the arrival of the true Israel of God: God’s only begotten Son, Jesus. Now that Christ has come, everything has changed into a glorious reality of his eternal kingdom. If you belong to Christ, you are Abraham’s descendant, an heir according to the promise (Galatians 3:29). If you are in Christ, “You have come to Mount Zion and to the city of the living God, the heavenly Jerusalem…” (Hebrews 12:22). In short, all the promises of God (including those in the Old Testament) are “yes and amen” in Christ Jesus. To Be Continued Again? What about the future of national Israel? Stay tuned. Is God Always on Israel’s Side? I honestly dislike controversy. I try to avoid it. But the things which matter most to me are always on collision course with the things that others decide are too “controversial” to speak about in polite company. Marriage, families, protecting babies, and the freedom of religion—all these are important realities which rile abortion supporters and those who wish to dismantle the traditional family. Above all else, I care about Christ and sharing God’s love with others. So, I have to speak concerning the controversial subject of Israel (because it involves Christ). I read a popular Christian post which proclaimed that God is always on the side of Israel. I do not think that is true—at least not in the way the author meant it. Before I explain further, I heartily agree that the nation of Israel needs our support, considering that it is freedom’s best ally in the Middle East, and many of her neighbors are busily working to see her annihilated. That being said, the Bible nowhere offers warrant for saying the present nation of Israel is comprised of the people of God. The land and the people filling it have no hope of being part of the kingdom of God without faith in Jesus Christ (John 14:6). Like the novelist Anne Rice, I understand the presence of the Jews as an “immense mystery” without a natural solution. It takes God to explain the existence of Jews in this world, and it may well be that at some point in the future there will be a great outpouring of faith towards Christ among the Jews (Romans 11:25-29). Nevertheless, the present nation of Israel does not exist as a vessel of God’s special favor. The reason is simply this: The concept of Israel is a personal concept in Scripture, not a national one. The present nation of Israel is a national entity, not a personal one. In the Bible, Israel is a person. 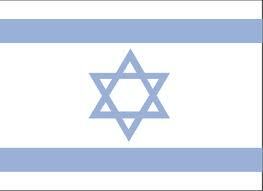 Originally, Israel is the name given to Jacob after he wrestled with the angel of God (Genesis 32:24ff). 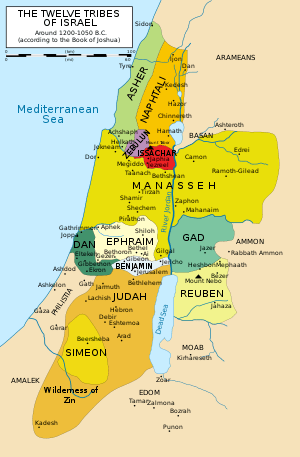 Israel later became the collective name for the twelve tribes of Israel (which, of course, was a reference to the twelve sons of Jacob). The original, biblical understanding of the name Israel was a reference to a person. This person represented other people. In a foreshadowing of the Christ who would later come to fulfill God’s purposes for His people, Exodus 4:22 says, “Thus says the Lord, Israel is My son, My firstborn.” Again, in prophetic utterance, Hosea gets a word from God: “When Israel was a youth I loved him, and out of Egypt I called my son” (Hosea 11:1). All the prophecies about God’s Son—Israel—have seen their fulfillment in Christ, who came not to abolish the law, but to complete the law and the prophets. So, in Matthew 2, Jesus was taken as a child into Egypt so that Hosea 11:1 would be fulfilled—out of Egypt, God called His Son. For more than a century, Christians have been stretched by the tension of a fundamentalist strand on one side and the evangelical strand on the other, each pulling backwards against the other like a rubber band being pulled apart by two opposing hands. The result has indeed been tension. On the one hand, the fundamentalists have sought to protect the purity of the gospel against outside attacks. This fundamentalist tendency seeks to shield the church from outside influences but also has the rather unintended effect of shielding those outside from the church’s influence. Not only is the church protected from the world, but the world is also “protected” from the church. Because our culture feels so “politicized,” many would prefer we not to get mixed up in politics. Surely, it would be easier if we didn’t have to deal with the deceit and obfuscation made popular by modern magistrates. Even though withdrawing would be easier, I don’t think it is the faithful course for Christians to follow. Here is why. In Deuteronomy 17, the Lord gave instructions to Israel before she took possession of the Promised Land. In these instructions, Israel was taught about the proper function of authority (the king). In effect, the king’s role was to institute the righteousness of God. A primary function of government, then, is to administer and uphold justice; upholding justice demands following the commands God has given. This was true for ancient Israel, and it is true for us today. Obviously, we do not live under the rule of a Davidic king in the land of Israel, but the basic principle of Deuteronomy 17 still holds. Paul explains (in Romans 13) that government is to approve of what is good and punish what is evil. No doubt, Paul understands that good and evil are established by God, not merely by man. Thus, government still exists to uphold the righteousness of God (which is good). Christians have an obligation to do their very best to uphold the righteousness of God in every aspect of life—including public and governmental aspects of life. Such upholding of righteousness in the face of injustice is at least a part of what it means to be salt and light in an otherwise dark and decaying world. For both the physician is irksome to the raging madman, and a father to his undisciplined son,—the former because of the restraint, the latter because of the chastisement which he inflicts; yet both are acting in love. If the Christian cares at all for his fellow human being, he will not withdraw or be silent on matters which others have politicized. The greatest commandment is to love God with heart and soul, and the second is to love your neighbor as yourself. These two great loves compel our engagement in “political” affairs such as the protection of human life and the honoring of the institution of marriage. In my opinion, then, each Christian should take up the shaker of the gospel and sprinkle its salt of truth into the world on issues important to the day. Likewise, each individual Christian should both live and act in a righteous manner to shine the light of truth for others groping in the darkness to see. 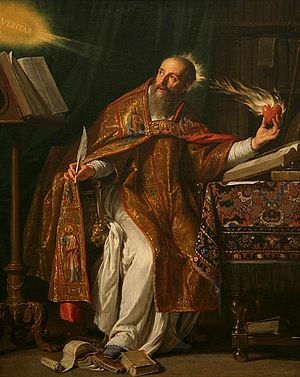 That’s the way things look to me (and to Augustine). Your opinion, as always, is welcome. tragedy both lyrically and musically. 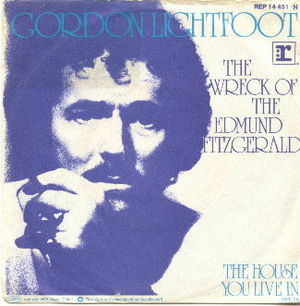 The question is an appropriate response to the actual tragedy of the Edmund Fitzgerald. The November gale likely stirred the waves to 35 feet or more. No doubt, the 29 crew members spent the last minutes of their lives in a sinking agony which both lasted forever and ended their lives in an instant. All that remained were “the faces and the names of the wives and the sons and the daughters.” All crew members were lost. In those last moments of terror, where was God? Where, indeed, did the love of God go as the captain, cook, and crew were drowning? Lightfoot’s question is a good one, demanding a sober assessment of our theology. I would answer in two ways. First, the love of God was at the cross in Jesus Christ. Scripture teaches that God is love (1 John 4) and that in His greatest act of love, God sent His son to die on the cross for our sins (John 3:16; Ephesians 5:25). What this means is that God has made provision for us when the time comes to meet our maker. Regardless of our size, success, or seemingly invincible ability to survive, we all will face death. “It is appointed for men to die once and after this comes judgment…” (Hebrews 9:27). The fact that death is in the world is undeniable for every living soul. The fact that our “appointment” with death is not ours to determine is likewise undeniable. The love of God in Christ says that God has taken note of our frames (that we are but dust) and has acted in such a way that we need no longer fear death—whenever it calls upon us to go. God did not have to act on our behalf. God loved us and sent His son as a Savior for our sins. The love of God points to the cross when death draws near. Second, the love of God points to the Resurrection. When the November gales chewed the ship and its crew, the Resurrection of Christ was screaming the love of God for all who believe. The Resurrection speaks on the authority of God that death is not the final victor. Though death seems to win in situations of shipwreck, the truth is that Christ has demonstrated the victorious power of life (1 Corinthians 15:54-57). Christ called Himself the Resurrection and the life (John 11:25) because Christ alone has defeated death. 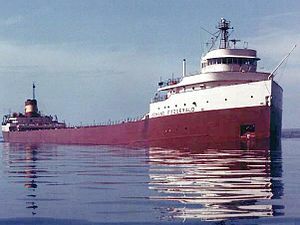 For all who perished on the Edmund Fitzgerald, it is true that their bodies sank in the rooms of Superior’s “ice water mansions.” But it is also true that God has spoken for any and all to hear that death need not be the end of the matter. The love of God screams of victory—of life—in the face of death because of the love of God who sent His Son that we might not ever perish but always have eternal life through Christ Jesus our Lord. I am glad Gordon Lightfoot asked the question. I’m even more glad that the God of love has answered it in Christ. There were many instances from my days of growing up under the moss-laced cypress trees of southern Louisiana that I would be asked by my father or my mother, “Aren’t you ashamed of yourself?” Most of the time, I was not. I was only “ashamed” of getting caught. Shame is not an emotion we naturally embrace. I was reminded of our natural desire to avoid shame when I visited China this past summer. It is well documented by missiologists that the oriental cultures in general and Chinese people in particular value “saving face.” They do not wish to be ashamed. Thus, missionaries learn to tweak their gospel language and tailor their ministry work to avoid shaming the very people they hope to serve. My reminder came as we tried to order our lunch. We had scoured the streets of Guilin, looking for the best local restaurant to explore authentic Chinese cuisine. When we saw little swimming pools filled with living squid, eel, snakes, turtles, crawfish, and spoon-billed catfish, we knew this was the restaurant for us. If nothing else, the food would certainly be fresh. Once seated, we began perusing the menu for our palate-pleasing entrees. Delighted, we pointed to the giant bowl of fried rice. After all, there is a limit to how many noodles a human can eat, and we had eclipsed that limit. Unfortunately, after a flurry of language negotiations with our waiter, we were informed that the restaurant did not have rice–only noodles. Why then was there a picture of a very large, very inviting bowl of fried rice on the menu? Our waiter was in crisis at the question. He could either be embarrassed and admit the false advertising, or he could attempt a perverted defense of the picture in order to save face. Choosing the latter course, he replied to our inquisition that the picture of rice is used to show that the restaurant serves noodles. As contorted and inexplicable as this explanation was, it was his explanatory attempt to save face. In fact, this natural tendency to save face by avoiding shame goes back to Adam’s finger in the Garden of Eden. When God called Adam to account for sin, Adam responded with “that woman that you gave me, she…” (Genesis 3). Rather than humbling himself before the Holy One, Adam pointed the finger directly at Eve and (indirectly) back at God. It’s easier to blame someone else than it is to be ashamed of ourselves, isn’t it? How have you seen this saving face tendency in yourself and others? What are some other examples I’ve missed? I hope we all will be humbled and accept our part of the blame and, even more, Christ’s sacrifice on our behalf.